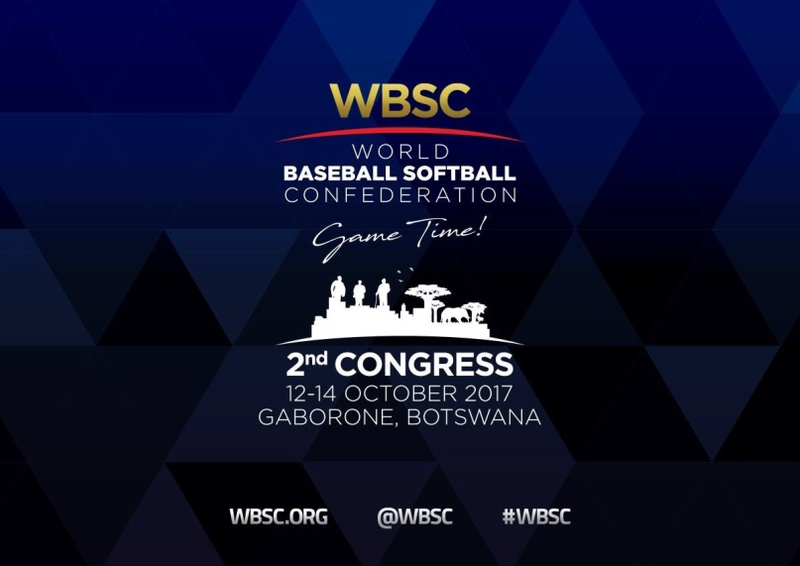 GABORONE, Botswana -- Baseball and softball leaders from approximately 100 countries are expected to arrive in the African nation of Botswana to participate in the II WBSC World Baseball Softball Congress, which opens tomorrow in capital city Gaborone. "The World Baseball Softball Congress in Gaborone will be an important gathering of baseball's and softball's leaders to discuss and shape the future direction and international expansion of our global sport," said WBSC President Riccardo Fraccari. "WBSC is grateful to the Botswana Softball Association and the Botswana National Sports Commission for welcoming the World Baseball Softball family to the great city of Gaborone." WBSC Baseball: There are 15 nominated candidates for seven available posts; the candidates represent 14 countries and territories, including Australia, Belgium, China, Iran, Israel, Italy, Japan, Panama, San Marino, Spain, Switzerland, Taiwan, Turkey and United States of America. WBSC Softball: There are 22 nominated candidates for seven available posts; the candidates represent 16 countries and territories, including Australia, Belgium, Botswana, Canada, China, Colombia, Iran, Israel, Japan, Malaysia, Netherlands, Puerto Rico, South Africa, Turkey, United States of America and Venezuela. Future hosts of the Baseball World Cups and Softball World Championships will be awarded, including the rights to host next year's U-15 Baseball World Cup, U-23 Baseball World Cup and Women's Baseball World Cup.